Chelsea have to cut the fat for next season. I don’t mean physical appearances, though it is documented a few players returned from this summer overweight. What I am referencing is the fat that exists amongst Chelsea’s squad including their loan army. The Blues have an excess amount of players and it’s time to trim the amount of players on their books. 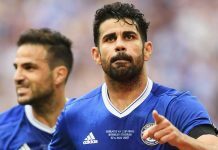 Starting with their own squad, there are several players that need to move on from Stamford Bridge. From bottom to top, there are far too many players within their ranks that currently exist as roadblocks to youth development. With all of the youth talent Chelsea have, they can no longer afford to block the path to the first team. In the goalkeeper position, Chelsea no longer have use for Marco Amelia. The Italian will most likely retire or look else where as he won’t ever play at Stamford Bridge. Furthermore, Jamal Blackman has never had the quality to play in West London. This was made apparent when the club made the emergency signing of Marco Amelia with the worry of being left with just Blackman, if Begovic was injured along with Courtois. Defensively it’ll be interesting to see where John Terry goes, and who else comes in. In the midfield, the two players who look the most uncertain are John Obi Mikel and Nemanja Matic. I’ve never been a huge fan of the Nigerian midfielder, despite how well he’s performed this season. It’ll be interesting to see if the incoming manager feels the same, or if he will find a role in the team for the 28-year-old. Another issue will be if Matic is given another season to turn around his form. Last season, he was arguably in the top three defensive midfielders in the world. However, this season, it’s been a 180 degree change for the Serbian, as he’s looked a shadow of the player he was last year. I would expect him to have at least one more season in West London. Offensively, Chelsea need to absolutely cut down. Costa will remain along with the budding Traore. However, Falcao and Remy should be pushed out as quickly as possible. Furthermore, unless Pato gets game time and proves his worth, the Brazilian will be on his way out of Stamford Bridge as well. The next issue is loan players. Chelsea currently have 31 players on loan, all of which are in different stages in their career. Some are trying to develop their skills, others are far past it and trying to regain their form, while some will never play in a Chelsea shirt. These are the players Chelsea have to target to eliminate. Players like Mohammed Salah, Juan Cuadrado, Victor Moses, Marko Marin, and Papy Djilobodji should be sold. None of them should or will feature for the Blues again. It wouldn’t make sense as each of them didn’t work out in a Chelsea jersey or there are too many players with more talent ahead of them. Currently, they block the path for youth players to be successful and this is wasteful. Furthermore, certain players need to be recalled and given a chance in the Chelsea squad. This includes Charly Musonda, Nathan Ake, Lewis Baker, Patrick Bamford, Andreas Christensen, Tomas Kalas, Kenneth Omeruo, Lucas Piazon and Marco Van Ginkel. We need to see if these players can cut it at the highest level. Only a few have impressed on loan and it’s time to see where they stand with regard to Chelsea. Most will likely not make the cut, but a few could breakthrough, which is the aim of the loan army plan to begin with. By selling the players that are past it or the ones that don’t make it, Chelsea can gain funds to reinvest in the squad and in more youth talent. This process needs to become more efficient within West London. It’s one thing to be a landing spot for Europe’s finest youth talent. It’s another to allow players to waste their careers away on loan, rather than clearing room for more players and youth talent to break into the squad. Say what you like about Louis Van Gaal, but he hasn’t been afraid to play youth players at Manchester United this season. Granted he’s been forced into it on some level, given all of his squad’s injury issues. That being said, we’ve witnessed the emergence of several talented youngsters as a result of this process. Chelsea need to do the same thing with their large ranks of talent. It’s time to find out where all these players stand. We need to let those that don’t make the cut move on. Then we begin to utilize the young talent Chelsea do possess. It’s a sink or swim process, and Chelsea need to hold their tryouts. This isn’t even taking into consideration the wealth of talent that the Blues have in their academy. These players should also begin to train with the first team next season. Ideally, Chelsea will sell a lot of players this summer. Then, they can bring in a few big name first team players. The rest of the squad should be filled out with youth talent. Instead of taking in loan players like Falcao and Pato, let players like Traore, Piazon, and Bamford fill those spots. If they get their chances and can’t take them, then they exit the picture to be replaced by Solanke, Tammy Abraham, and Izzy Brown. Chelsea have the potential to have a conveyor belt of young talent. The path should lead directly into Chelsea’s starting lineup. However, up until now the path has been blocked by deadweight senior players, and players on loan that didn’t live up to their potential. In order for Chelsea to really reap the benefits from their academies and scouting networks, it’s time that they find out what their young players can do and cut the fat from their squad. They’ll be all the better for it in both the short term and the long run. Tyler Strauss is a senior writer at CFCnet. Follow him on Twitter.